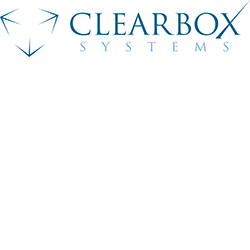 Established in February 2007, Clearbox Systems is a leading supplier and integrator of Network Management and Spectrum Management systems for Defence, Government and Commercial sectors. We locally design, develop and manufacture innovative software and hardware solutions to provide a flexible and unique response to our customer’s needs. Clearbox Systems supports dozens of customer sites in Australia providing remote support services. Our staff have the experience and the expertise to provide cost-effective and user friend solutions backed by 24 x 7 support. The same Network Management and Spectrum Management systems that can be used for Satellite Communications are also applicable to sensor integration for signal intelligence gathering, C4I systems and radar. In delivering Network Management and Spectrum Management systems for Satellite Communications we have added tools and functions that assist in the security of the networks they manage. This includes monitoring for and alerts of anomalous behaviour, and also surveillance of the Radio Frequency spectrum units by a Satellite Communications network. In delivering Network Management and Spectrum Management systems for Satellite Communications we a deep understanding of the space sector. Part of the success of Clearbox Systems is that we are able to use this understanding to continue to add features to our products that make Space operations more effective. The products and services we provide are unique within Australia. Other options may exist internationally however with our local presence we offer customers the opportunity to: easily engage during the design phase of a deployment; have engineers deploy to their sites for installation and test; and have local technicians available for support. Our development methodology is flexible to insert emerging customer requirements into the development cycle. In that way, a customer can have unique requirements met quickly and with a high level of assurance.